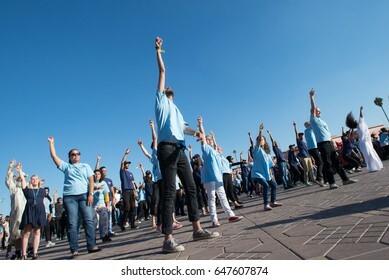 1,770 stock photos, vectors, and illustrations are available royalty-free. 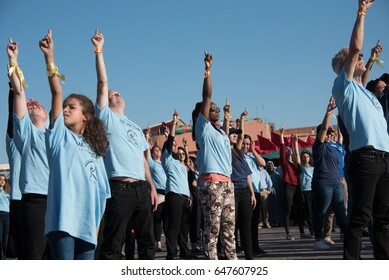 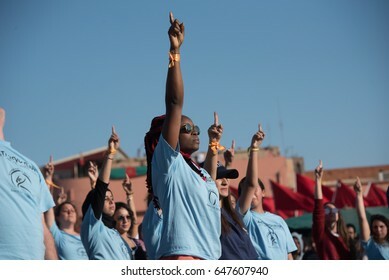 MARRAKESH, MOROCCO - NOVEMBER 10: Young activists at the COP22 UN climate summit take part in a flash-mob dance protest in Jemaa el-Fnaa, the central plaza in Marrakesh, Morocco, November 10, 2016. 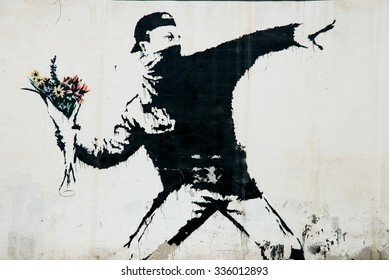 BEIT SAHOUR, OCCUPIED PALESTINIAN TERRITORIES - JUNE 18: A mural by the British street artist Banksy covers a wall in the West Bank village of Beit Sahour, June 18, 2014. 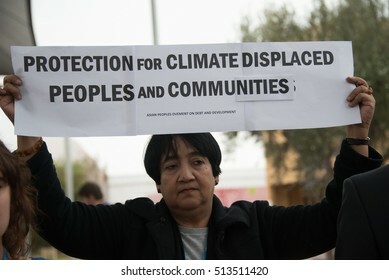 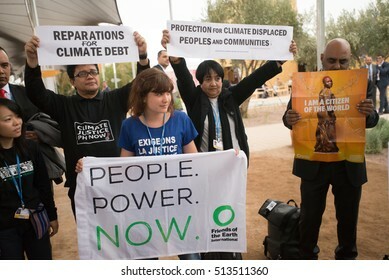 MARRAKESH, MOROCCO - NOVEMBER 10: Activists at the COP22 UN climate conference in Marrakesh, Morocco, demand protection for people and communities displaced by climate change November 10, 2016. 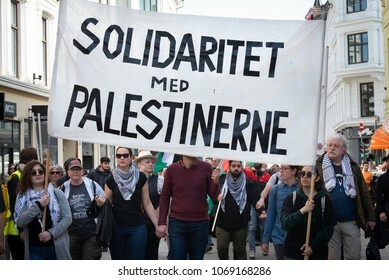 OSLO - APRIL 14: Protesters carry a sign reading "Solidarity with Palestinians" in a march to Norway'? 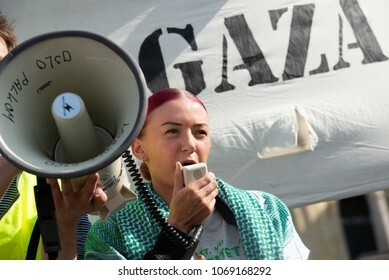 ?s parliament building to protest Israel's shooting of Palestinians in Gaza. 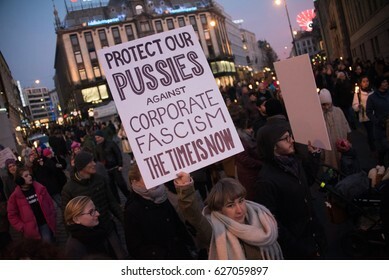 Oslo, April 14, 2018. 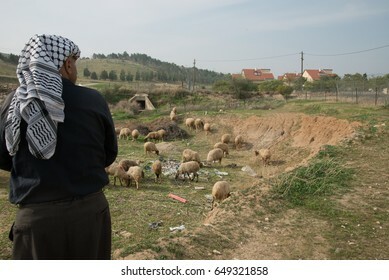 WEST BANK - JANUARY 22: A Palestinian tends his sheep near the West Bank Israeli settlement Mehola, January 22, 2014. 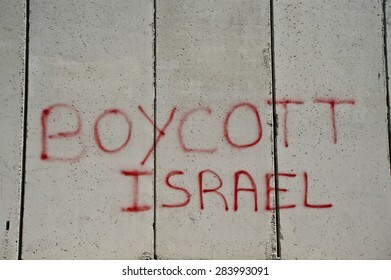 All settlements in occupied territory are illegal under international law. 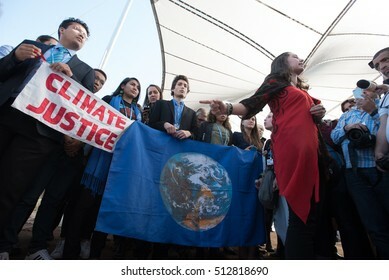 MARRAKESH, MOROCCO - NOVEMBER 9: International youth climate justice activists at the COP22 UN climate conference in Marrakesh, Morocco, react to the U.S. presidential election, November 9, 2016. 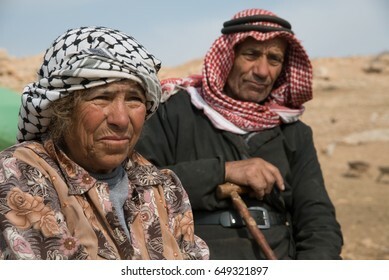 WEST BANK - JANUARY 22: Elderly residents remain in the Jordan Valley village of Kirbet Makhoul, West Bank, which as been twice demolished by the Israeli army, January 22, 2014. 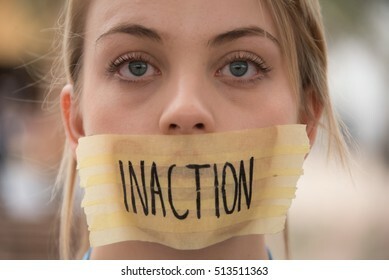 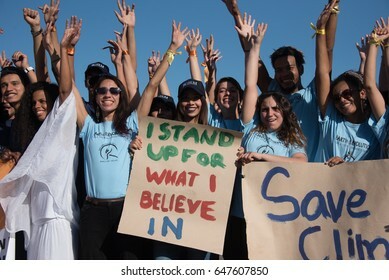 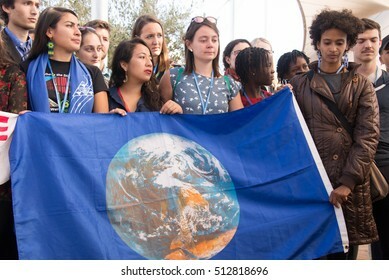 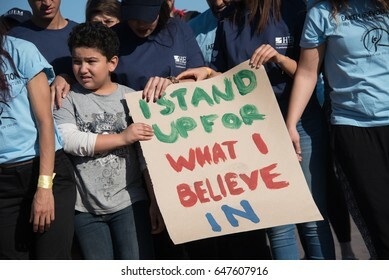 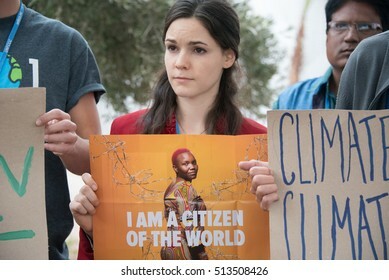 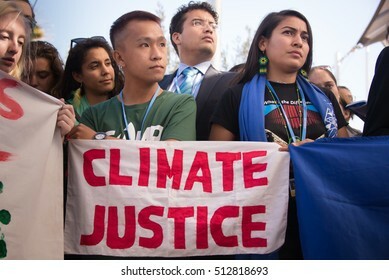 MARRAKESH, MOROCCO - NOVEMBER 10: Young activists at the COP22 UN climate conference hold a sign reading "I Stand Up For What I Believe In" at a demonstration in Marrakesh, Morocco, November 10, 2016. 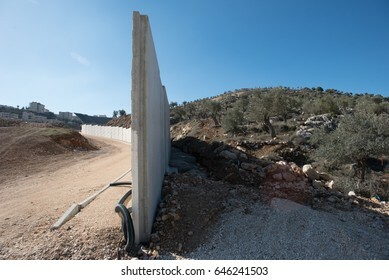 BEIT JALA, WEST BANK - DECEMBER 30: The Israeli Separation Wall divides olive groves belonging to the West Bank village of Beit Jala, December 30, 2016. 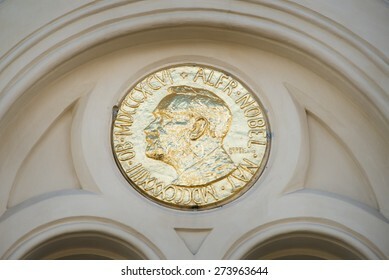 OSLO - APRIL 29: A golden image of the Nobel Peace Prize decorates the front of the Nobel Peace Center in Oslo, Norway, April 29, 2015. 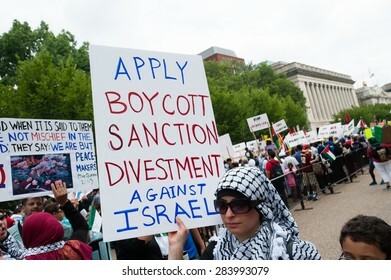 WASHINGTON, DC - AUGUST 2: Some 10,000 demonstrators march on the White House in Washington, DC, to protest Israel's offensive in Gaza known as "Operation Protective Edge", August 2, 2014. 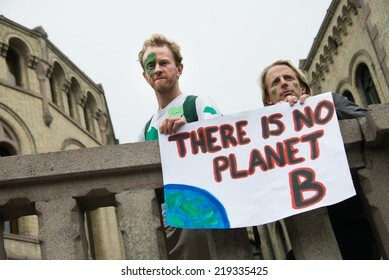 OSLO - SEPTEMBER 21: Men hold a sign reading, "There Is No Planet B", as thousands march through downtown Oslo, Norway, to support action on global climate change, September 21, 2014. 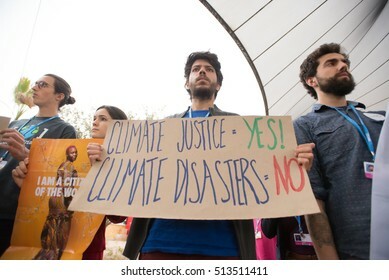 PARIS - DECEMBER 1: Climate activists at the COP21 UN climate summit in Paris, France, stage a protest calling for "climate justice now", December 1, 2015. 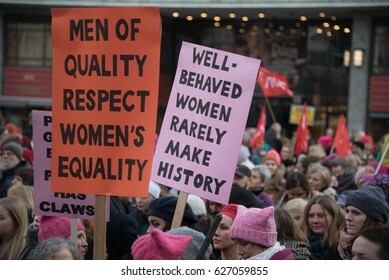 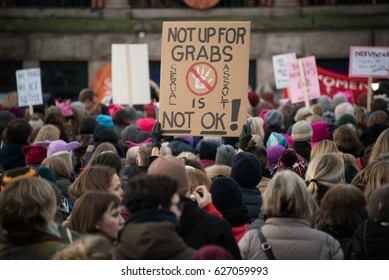 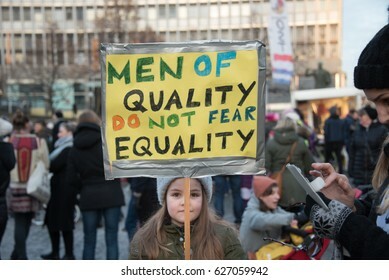 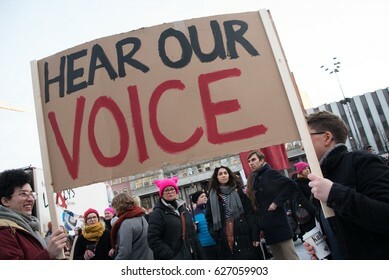 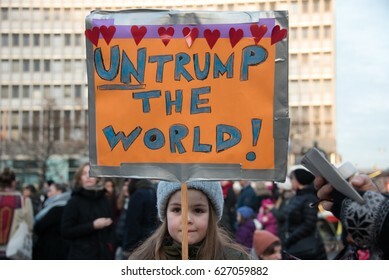 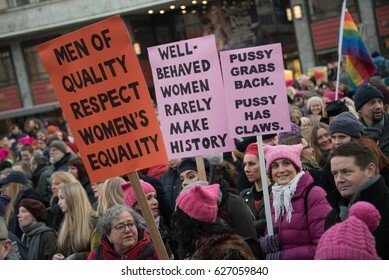 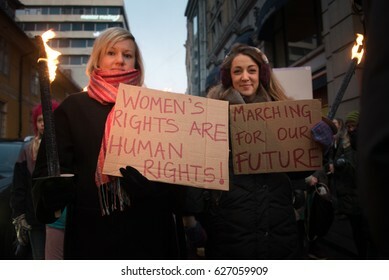 OSLO - JANUARY 21: Thousands join the Women's March Norway, one of 670 global protests on the day after the inauguration of U.S. President Donald Trump, Oslo, January 21, 2017. 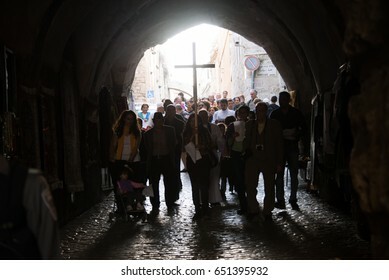 EAST JERUSALEM - APRIL 17: Palestinian Christians carry a cross from the Old City of Jerusalem to the Garden of Gethsemane on the Mount of Olives during a Maundy Thursday procession, April 17, 2014. 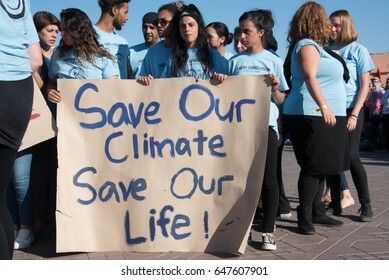 MARRAKESH, MOROCCO - NOVEMBER 10: Young activists at the COP22 UN climate conference hold a sign reading "Save Our Climate, Save Our Life" at a demonstration in Marrakesh, Morocco, November 10, 2016. 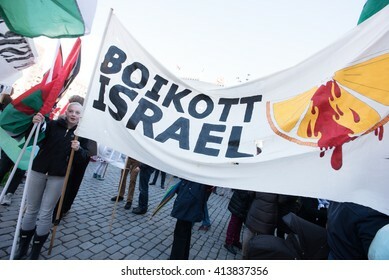 OSLO - MAY 1: Solidarity activists carry banners calling for a boycott of Israel during the May Day parade in Oslo, Norway, May 1, 2016. 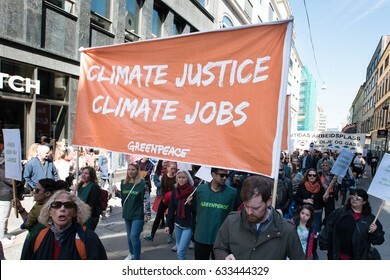 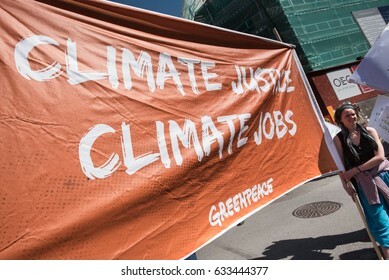 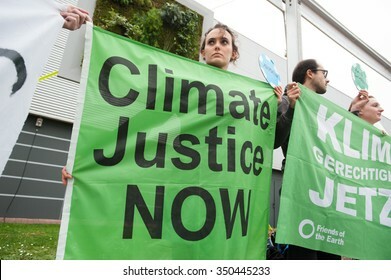 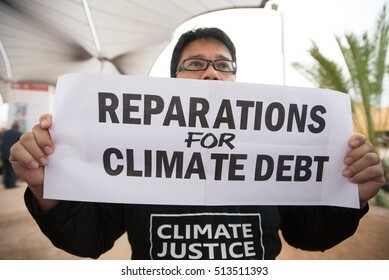 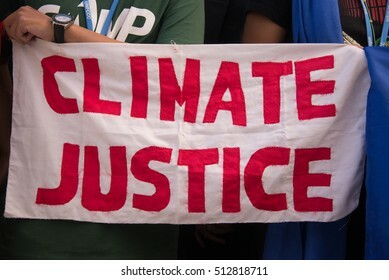 OSLO - MAY 1: A Greenpeace activist holds a sign reading "Climate Justice, Climate Jobs" at the annual May Day celebration in Oslo, Norway, May 1, 2017. 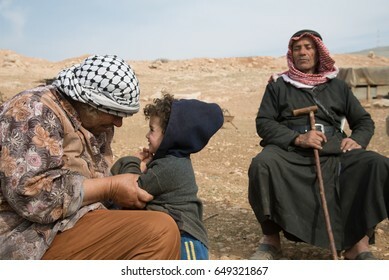 WEST BANK - JANUARY 22: Elderly residents and a child remain in the Jordan Valley village of Kirbet Makhoul, West Bank, which as been twice demolished by the Israeli army, January 22, 2014. 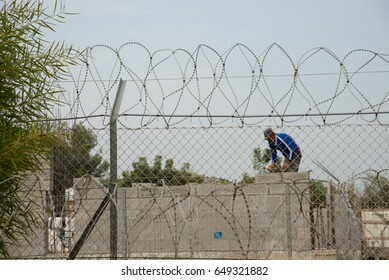 WEST BANK - JANUARY 22: A Palestinian works in the Israeli settlement Mehola, West Bank, January 22, 2014. 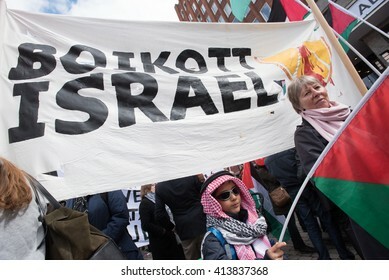 All settlements in occupied Palestinian territory are illegal under international law. 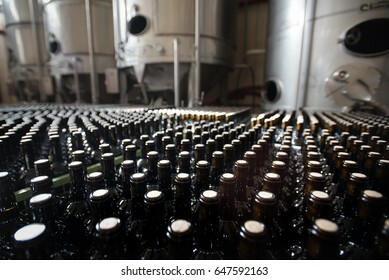 Rows of red wine bottles stand in front of fermentation vats at a winery. 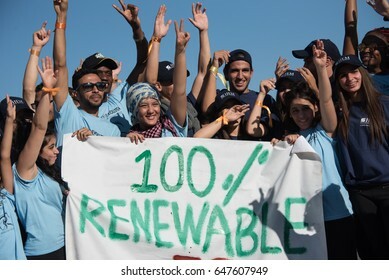 MARRAKESH, MOROCCO - NOVEMBER 10: Young activists at the COP22 UN climate conference hold a sign reading "100% Renewable" at a demonstration in Marrakesh, Morocco, November 10, 2016. 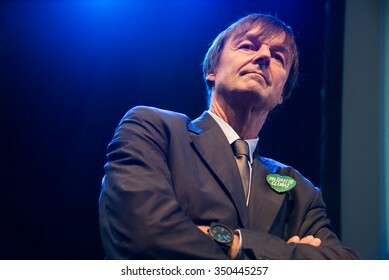 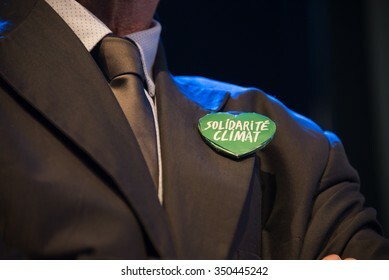 PARIS - NOVEMBER 28: France's special envoy for the protection of the planet Nicolas Hulot at a ceremony during the COP21 climate summit in Paris, France, November 28, 2015. 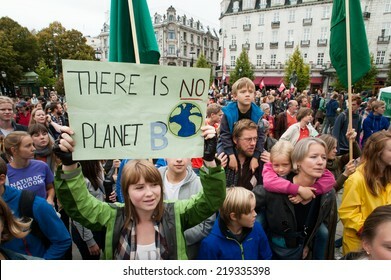 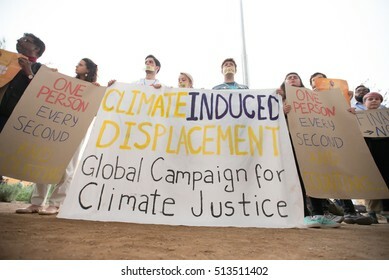 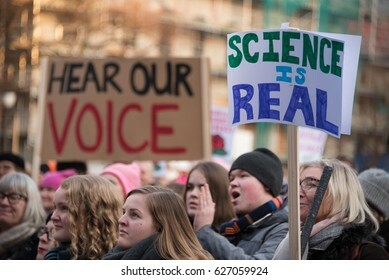 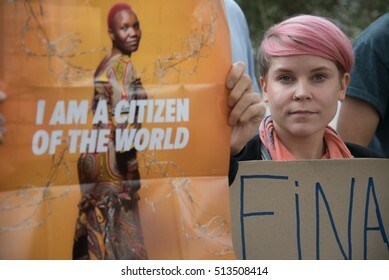 OSLO - SEPTEMBER 21: A sign reads, "There Is No Planet B", as thousands march through central Oslo, Norway, to support action on global climate change, September 21, 2014. 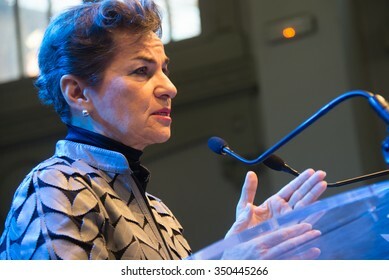 PARIS - NOVEMBER 28: Christiana Figueres, Executive Secretary of the United Nations Framework Convention on Climate Change, speaks during the COP21 climate summit in Paris, France, November 28, 2015. 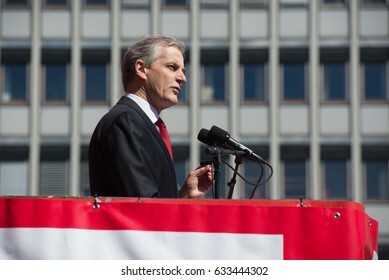 OSLO - MAY 1: Norwegian Labor Party leader Jonas Gahr Støre at a May Day rally in Oslo, Norway, May 1, 2017. 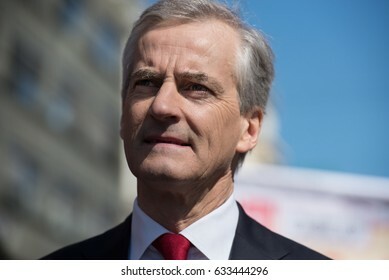 Gahr Støre could become prime minister if his party wins elections in September. 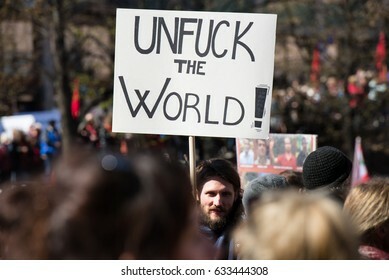 OSLO - MAY 1: An activist holds a sign reading "Unfuck the World!" 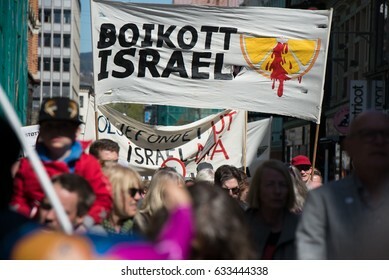 at the annual May Day march in Oslo, Norway, May 1, 2017. 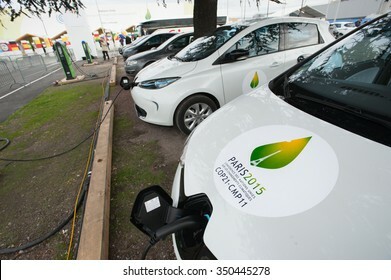 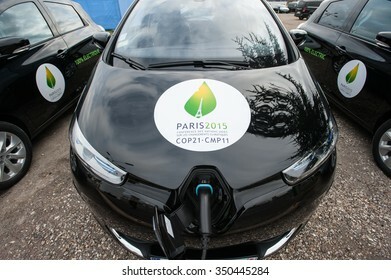 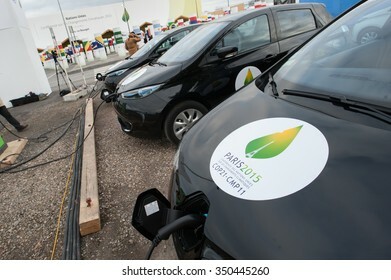 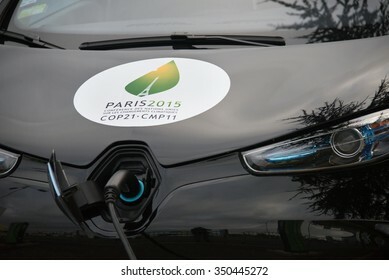 PARIS - NOVEMBER 30: A fleet of electric cars charges in front fo the COP21 UN climate conference in Le Bourget near Paris, France, November 30, 2015. 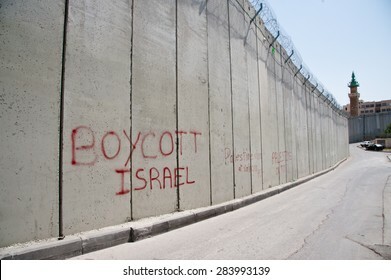 EAST JERUSALEM, OCCUPIED PALESTINIAN TERRITORIES - MARCH 26: Graffiti on the Israeli separation wall dividing the East Jerusalem neighborhood of Abu Dis reads, "Boycott Israel", March 26, 2012. 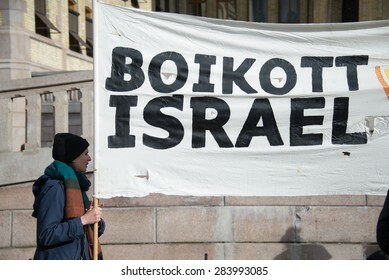 OSLO - MARCH 30: Solidarity activists hold a banner reading "Boycott Israel" during a protest in front of the Norwegian Parliament building, Stortinget, Oslo, March 30, 2015. 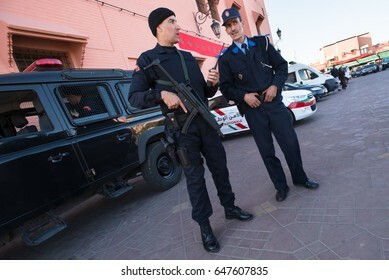 MARRAKESH, MOROCCO - NOVEMBER 10: Moroccan police stand guard in Jemaa el-Fnaa, the central market plaza in Marrakesh, Morocco, November 10, 2016. 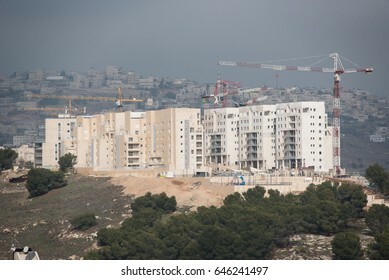 EAST JERUSALEM - DECEMBER 28: Building continues in the Israeli settlement Har Homa, December 28, 2016. 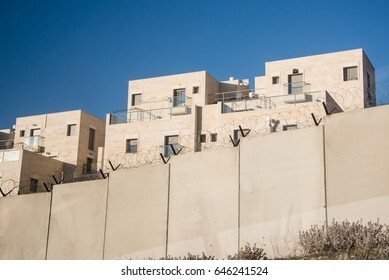 All Israeli settlements in occupied Palestinian territory are illegal under international law. 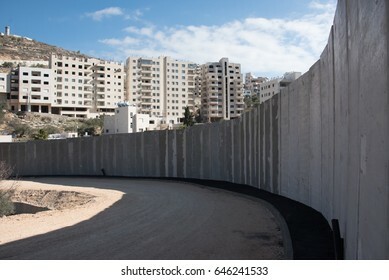 BEIT JALA, WEST BANK - DECEMBER 30: The Israeli Separation Wall divides land belonging to the West Bank village of Beit Jala, December 30, 2016. 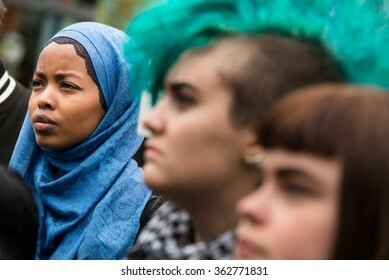 OSLO - SEPTEMBER 12: A Muslim woman wearing a hijab headscarf stands side by side with a punk woman with a green mohawk at a rally in support of Syrian refugees, Oslo, Norway, September 12, 2015. 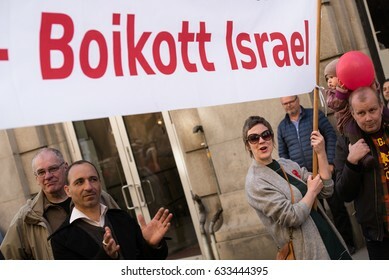 OSLO - OCTOBER 17: Activists hold a banner reading "Boycott Israel" during a protest in solidarity with Palestine near the Israeli embassy in Oslo, Norway, October 17, 2015. 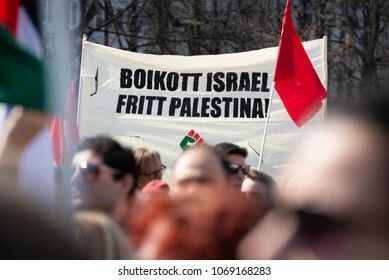 OSLO - MAY 1: Activists carry a banner in Norwegian: "Boycott Israel" at the annual May Day march in Oslo, Norway, May 1, 2017. 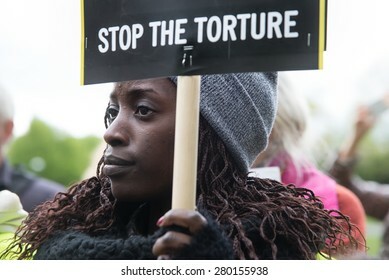 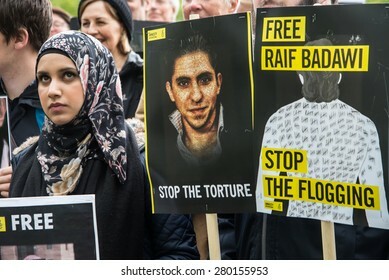 OSLO - MAY 19: Human rights activists protest at the Saudi Arabian embassy in Oslo, Norway, to demand the release of imprisoned Saudi blogger Raif Badawi, May 19, 2015. 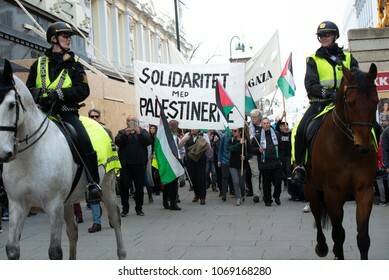 OSLO - APRIL 14: Protesters march to Norway's parliament building to protest Israel's shooting of Palestinians in Gaza. 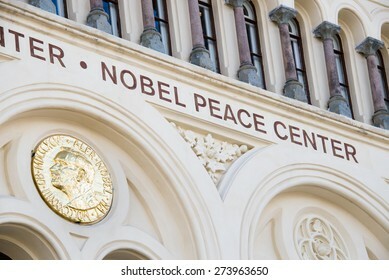 Oslo, April 14, 2018. 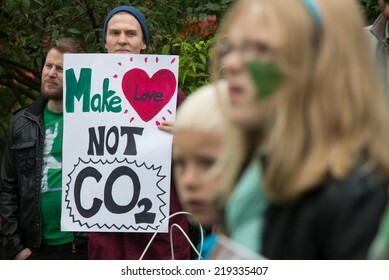 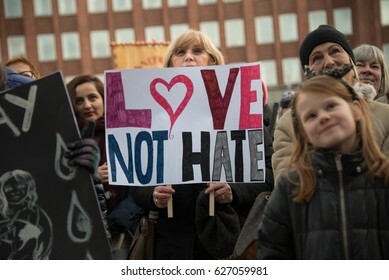 OSLO - SEPTEMBER 21: A sign reads, "Make Love, Not CO2", as thousands march through central Oslo, Norway, to support action on global climate change, September 21, 2014. 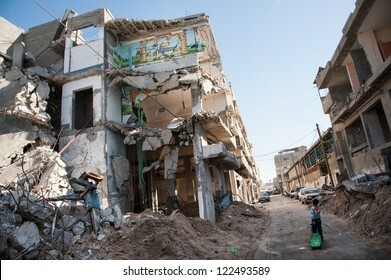 GAZA, PALESTINIAN TERRITORY - DECEMBER 2: A child passes a bombed-out residential block in the Al-Zeitoun neighborhood of Gaza City, December 2, 2012. 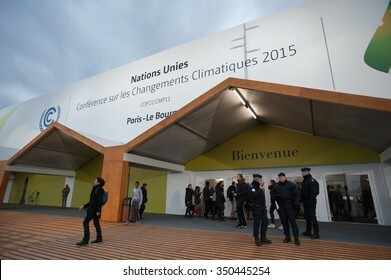 PARIS - NOVEMBER 29: French police stand guard as delegates approach the main hall of the COP21 United Nations climate summit in Paris, France, November 29, 2015. 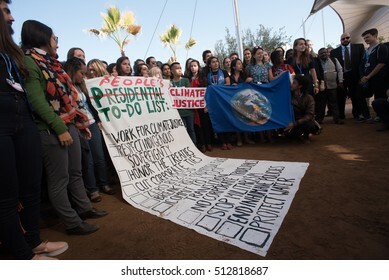 MARRAKESH, MOROCCO - NOVEMBER 10: Activists at the COP22 UN climate conference in Marrakesh, Morocco, speak out against anti-immigrant policies in the wake of the U.S. election, November 10, 2016. 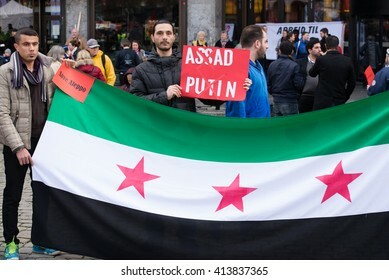 OSLO - MAY 1: Syrian refugees protest President Bashar al-Assad during the May Day parade in Oslo, Norway, May 1, 2016. 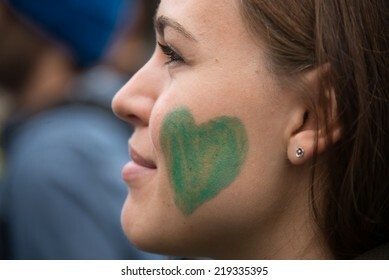 OSLO - SEPTEMBER 21: A woman has a green heart painted on her face as thousands march through downtown Oslo, Norway, to support action on global climate change, September 21, 2014. 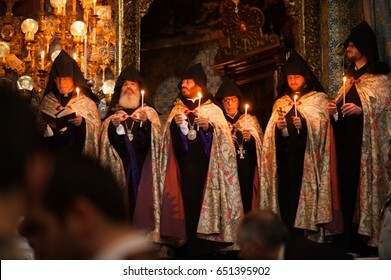 EAST JERUSALEM - APRIL 17: Priests hold candles during special Maundy Thursday mass in the Cathedral of St. James in the Old City of Jerusalem, April 17, 2014. 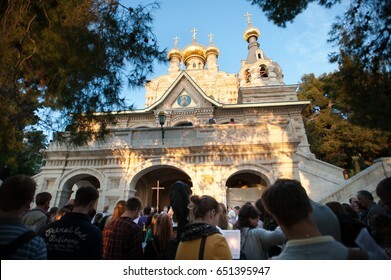 EAST JERUSALEM - APRIL 17: Palestinian and international Christians hold a Maundy Thursday prayer service at the Church of Mary Magdalene in the Garden of Gethsemane, April 17, 2014. 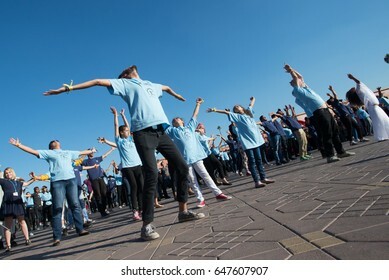 EAST JERUSALEM - APRIL 17: Armenian Patriarch of Jerusalem, Nourhan Manougian, washes the feet of fellow clergy during a Maundy Thursday mass in the Cathedral of St. James, Jerusalem, April 17, 2014. 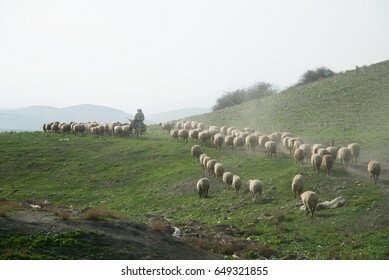 WEST BANK - JANUARY 22: A Palestinian herder leads his flocks in the Jordan Valley, West Bank, January 22, 2014. 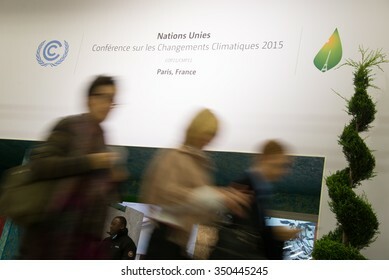 PARIS - NOVEMBER 29: Delegates enter the main hall of the COP21 United Nations climate summit in Paris, France, November 29, 2015. 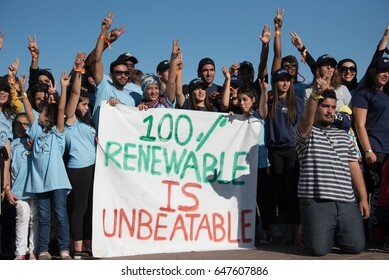 MARRAKESH, MOROCCO - NOVEMBER 10: Young activists at the COP22 UN climate conference hold a sign reading "100% Renewable is Unbeatable" at a demonstration in Marrakesh, Morocco, November 10, 2016. 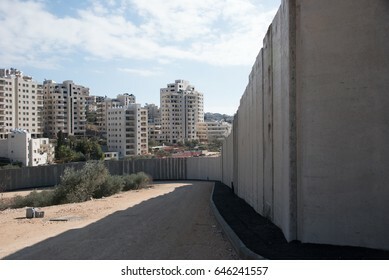 WEST BANK - DECEMBER 30: The Israeli separation barrier encircles the settlement Har Gilo, December 30, 2016. 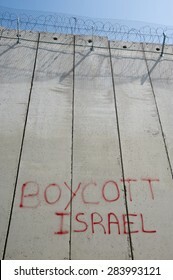 Israeli settlements in occupied Palestinian territory are illegal under international law. 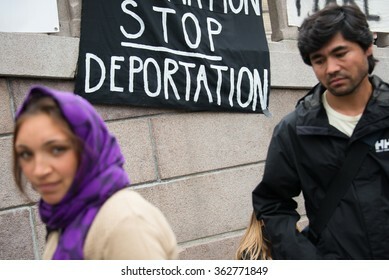 OSLO - SEPTEMBER 12: A banner reads, "Stop Deportation", during a rally in support of Syrian refugees at the parliament building in Oslo, Norway, September 12, 2015. 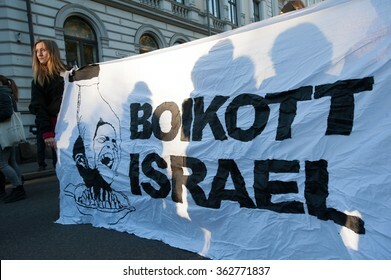 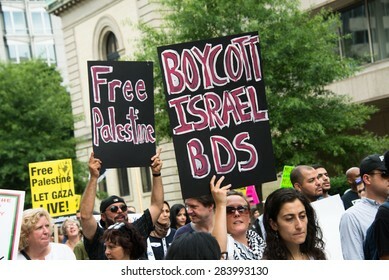 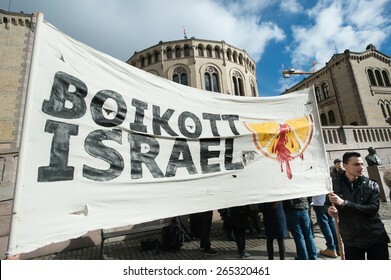 OSLO - MARCH 30: Activists hold a banner reading "Boycott Israel" during a protest in front of the Norwegian Parliament building, Oslo, March 30, 2015. 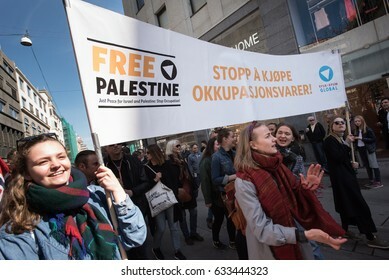 OSLO - MAY 1: Activists carry a banner in English and Norwegian: "Free Palestine: Stop Buying Occupation Products" at the annual May Day march in Oslo, Norway, May 1, 2017. 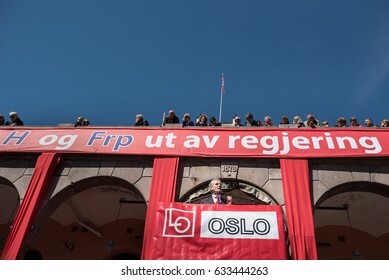 OSLO - MAY 1: Norwegian Labor Party leader Jonas Gahr Støre speaks at a May Day rally in Oslo, Norway, May 1, 2017. 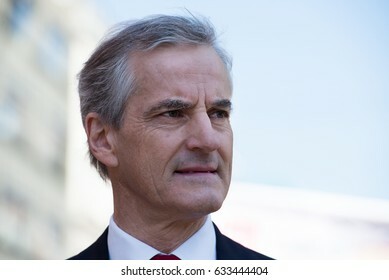 Gahr Støre could become prime minister if his party wins elections in September. 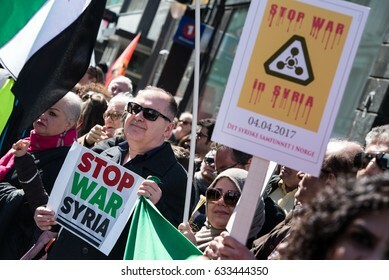 OSLO - MAY 1: Activists hold signs calling to stop the war in Syria during the annual May Day march in Oslo, Norway, May 1, 2017. 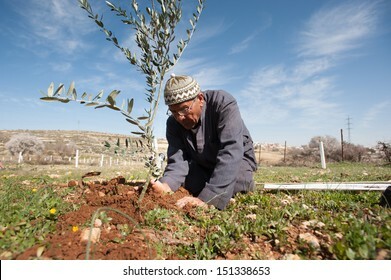 AL KHADER, PALESTINIAN TERRITORY - FEBRUARY 10: A Palestinian farmer plants olive tree seedlings in the Ein El Qassis area of Al Khader village, West Bank, February 10, 2013. 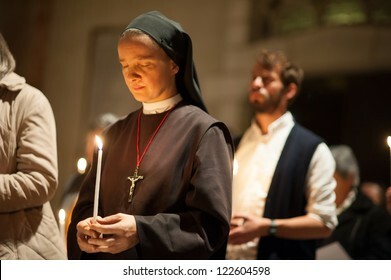 EAST JERUSALEM, PALESTINIAN TERRITORY - NOVEMBER 20: A Catholic nun holds a candle during a prayer service in the Basilica of St. Stephen, East Jerusalem, in solidarity with Gaza, November 20, 2012. 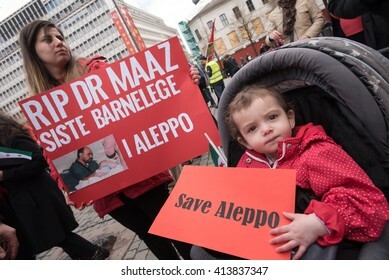 OSLO - MAY 1: Syrian refugees protest violence in Aleppo during the May Day parade in Oslo, Norway, May 1, 2016. 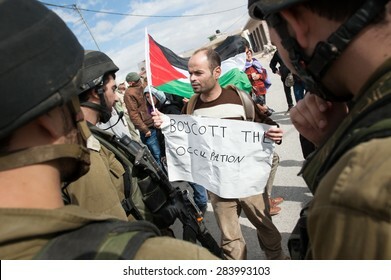 WEST BANK, OCCUPIED PALESTINIAN TERRITORIES - NOVEMBER 9: A Palestinian with a sign, "Boycott the Occupation", faces Israeli soldiers in a protest in Al Ma'sara, West Bank, November 9, 2012.